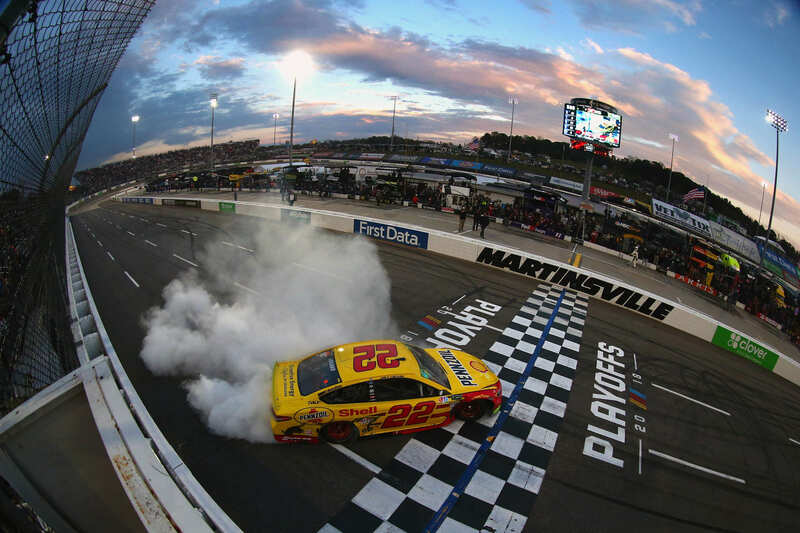 Joey Logano and Martin Truex Jr raced hard in the final 10 laps of the 500 lap event at Martinsville Speedway. On the final corner, Joey Logano put the bumper to him. The two banged doors all the way to the finish line in a short track racing thriller. Joey Logano took the win and will advance into the Championship 4 event in three weeks. As Joey Logano climbed from his car on the front stretch to celebrate, Truex was enticing the Virginia crowd. Truex kept it pretty simple, stating that Joey Logano won’t win the 2018 NASCAR Cup Series championship. Bob Pockrass: Martin Truex Jr called that a cheap shot and a cheap win. Did you see it that way? “I certainly didn’t. And he’s a racer and should know better than to say that,” Roger Penske stated from the Martinsville Speedway media center. Roger Penske is referring to the race at Chicagoland Speedway earlier this year. Larson door’d Kyle Busch off turn two on the final lap of that event. Kyle Busch bounced off the wall and ran down Larson into turn three. Busch returned the bumper and Larson went spinning across the finish line. Joey Logano did the same thing. The difference is Truex didn’t spin. Keep in mind that that Kyle Busch once threw a punch as Logano’s head once upon a time. It was a swing and a miss. But, it was an A for effort. But, there might be a bit of bias from Busch in favor of Truex. “To me, I’m looking forward. 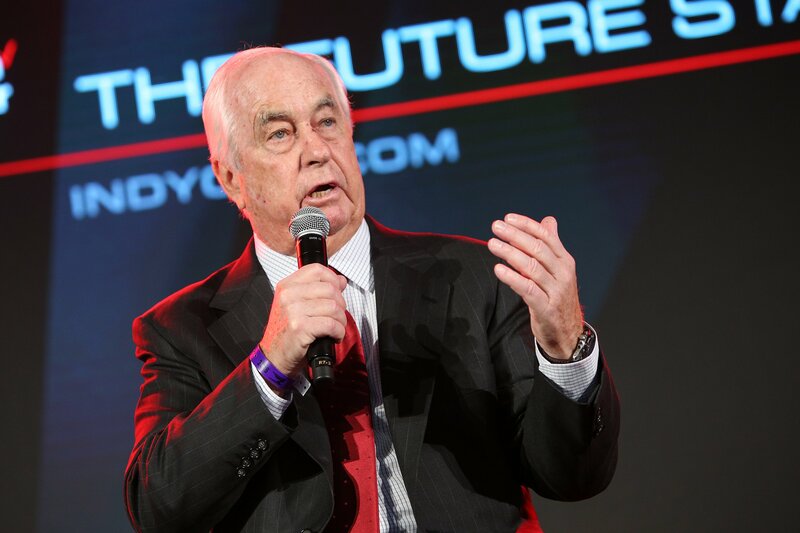 We wanted to go to Miami,” NASCAR team owner, Roger Penske continued. At the front of the field, it was two teammates. Brad Keselowski sat in 2nd as Logano drove off into the distance. Truex quickly moved around Keselowski. That could have gone another way. Dustin Long: Why do the comments from Truex bother you so much in this case? “I think that Joey drove a great race. He didn’t knock him off the race track,” Roger Penske explained. “I thought it was square. And Joey deserved the win,” Roger Penske concluded. After the race, Cole Pearn located Todd Gordon on pit road. The #22 and #78 crew chiefs talked it out for a few seconds. There was more yelling than talking. 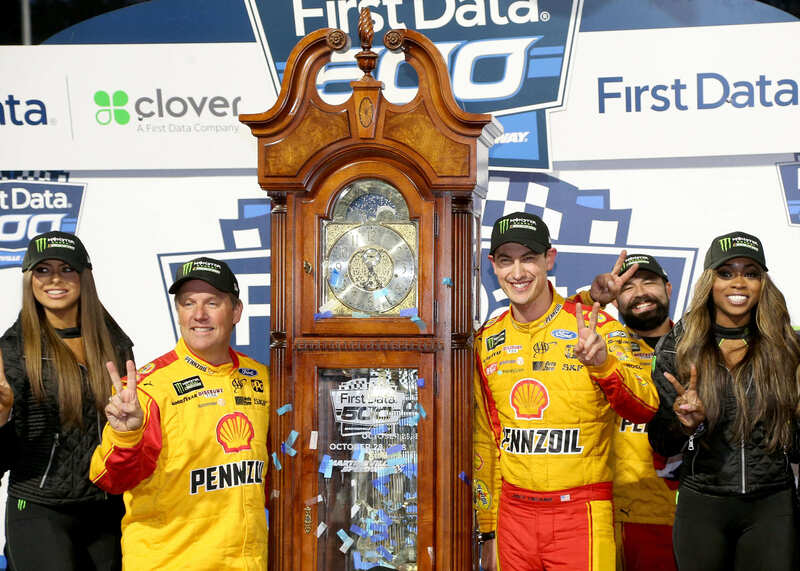 “I think Martinsville is a historic race track that’s short track racing, where we all came from,” Team Penske crew chief Todd Gordon said after the win at Martinsville.